Mustang LX's sporty apperance is tastefully trimmed with bright and charocoal accents. Full bodyside and decklid striping and dual remote-control choracoal mirrors are standard. All-season tread steel-belted radial tires and bright black turbine wheel covers add to the sporty excitement. 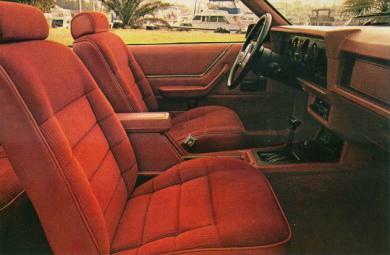 The interior is completly trimmed with cut-pile carpeting, cloth headliner and cloth covered sun visors. Visor mirrors with flip-up covers are also included. The full door trim panels are color keyed with a carpeted lower insert and bright and black moldings. Other features that enhance Mustang LX's image are these desirable standards: AM/FM stereo radio with four speakers; interval windshield wipers; luxery sound package; power rack and pinion steering; power front disc/rear drum brakes and urethane lower bodyside protection. To get you where you're going, Mustang LX is equipped with the 2,3 liter overhead cam 4-cylinder engine and 4-speed manual transmission. 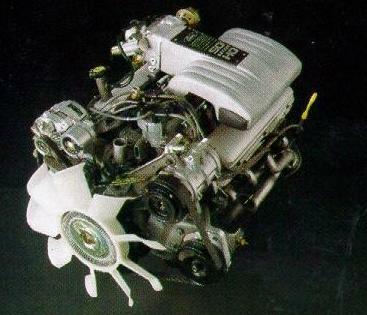 To keep it running at its best, the engine is monitored and controlled by Ford's EEC-IV computer control system. You also have a easy way of taking on and off your seat belt and you could also get some extra safety for your kids with the Tot guard for children. However, if your spirit clamors for a little more excitement in your day-to-day travels, you can always opt for the aviable 5.0 liter high output EFI V-8 engine package.